I help busy families, vacationers, and time sensitive career professionals in Atlanta, maintain a quality dietary life without having to sacrifice time and energy. If you're a career focused single professional, have a household of at least 2 members, find meal preparation to be stressful, and live in the Greater Atlanta Area --- I can help you. 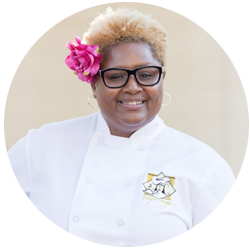 My personal chef services offer those living in the Greater Atlanta area, the convenience of never having to choose between cooking and managing a busy schedule. Have your meals prepared in the comfort of your home, or we can drop it off right to your door. We source and shop at quality food outlets such as local farms, whole foods and other premium stores. * This does not include the cost of groceries. Try our monthly service. It is one of the most popular personal chef services. You get the same quality food and exceptional service!